Friends from Madrid, Rome, London and Lisbon tell us about their cities' traditions for the Christmas season. And we’ll hear how the holidays are celebrated in Bulgaria, the Swiss Alps, Austria and the Low Countries. 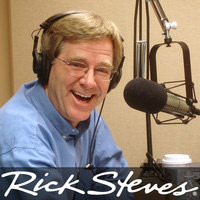 Rick Steves’ "European Christmas" TV special airs on public TV stations this time of year. There is a video preview, plus other European Christmas material, on our website.